When starting a new home design or renovation project, it can be difficult to visualize the final result, especially when working with flat, 2D blueprints and sketches that do not always capture depth and dimension. That is why Cardello Architects offers 3D rendering as part of our design services. Clients can take advantage of our 3D modeling capabilities, which include both interior and exterior modeling – from basic massing models to photo-realistic models and models that you can actually walk through using 3D glasses. 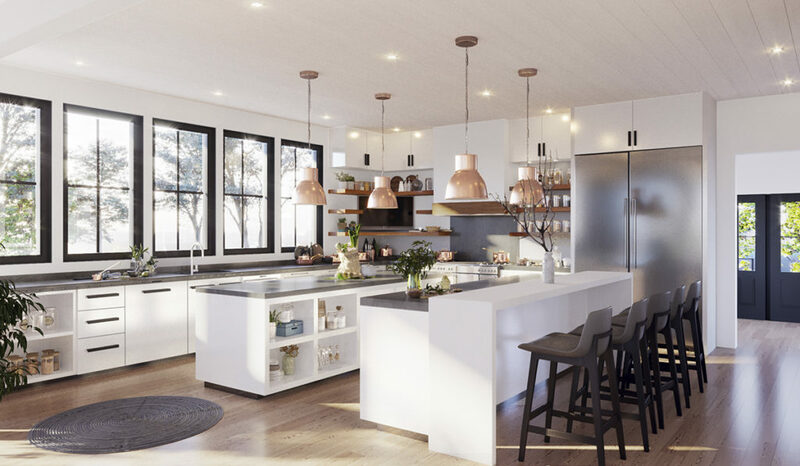 To understand the opportunities that 3D rendering presents in home design, learn more about the process and its benefits. 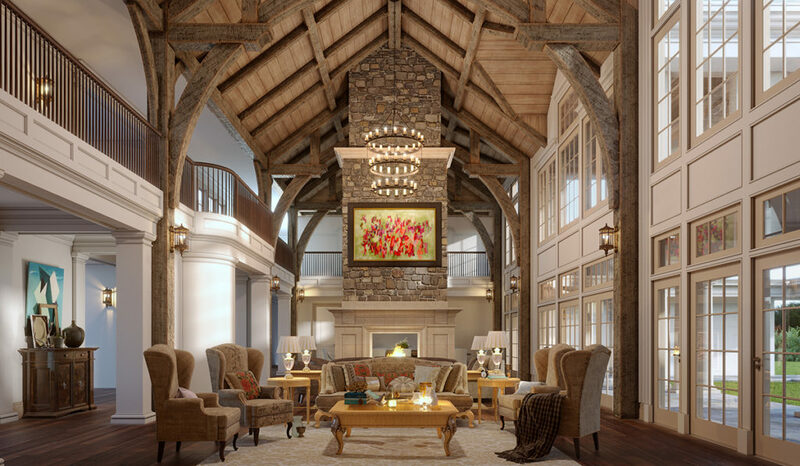 A 3D rendering brings architectural design to life before a project begins construction. In brief, it is the art of creating three-dimensional images that show the attributes of a proposed architectural design. The architectural visualization software used to create 3D renderings enable architects and designers to gauge proportion and scale while simulating the effects of lighting, accoustings, and ventilation on a particular design. Perhaps the greatest benefit of using 3D rendering in home design is that it allows clients to follow the design process in an easy-to-visualize manner, so they can understand exactly how the architect intends to translate their dream home from blueprint to reality. 3D renderings illustrate depth, dimension, and scale far more effectively than static sketches. 3D renderings are also very useful in planning interior design, down to the placement of furniture, lighting fixtures, and appliances. From an architectural standpoint, 3D renderings are more than visually engaging – they are useful in determining proper measurements and catching design flaws before getting started in the field. 3D renderings allow architects and designers to spot issues with structural integrity and stability in a way that’s just not possible in sketches. They are also helpful in determining interior design issues, like lack of space or unappealing floor plans, before construction commences. Additionally, it is much simpler to rectify flaws and update clients with new designs using 3D rendering software. A quick re-sketch can help, but the architect can also make adjustments to the rendering so the client can see how the fixes will affect the look and feel of the final result in real life. 3D rendering allows architects to clearly communicate project design in an easy-to-visualize way with clients; as well as enables them to address design flaws quickly even before starting work in the field. It can be expensive to edit or start over with 2D sketches and blueprints. Architectural software and technology makes the home design process quicker, less labor-intensive, and less costly with improved communication between client and architect. 3D rendering can be done both in house and by an outside firm. Depending upon the amount of detail desired, outsourcing this process can be more cost effective. What’s Next for 3D Rendering? As technology evolves, so does the potential for 3D rendering. 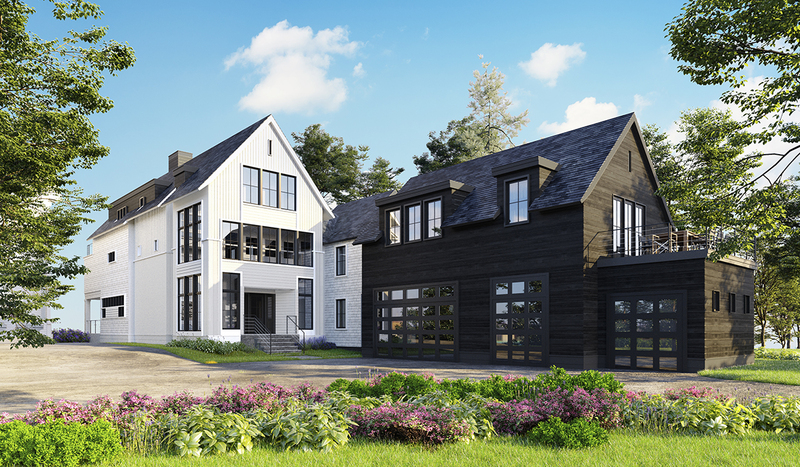 The team at Cardello Architects is not only well versed in 3D rendering; we can take the process to the next level by turning our renderings into 3D models. 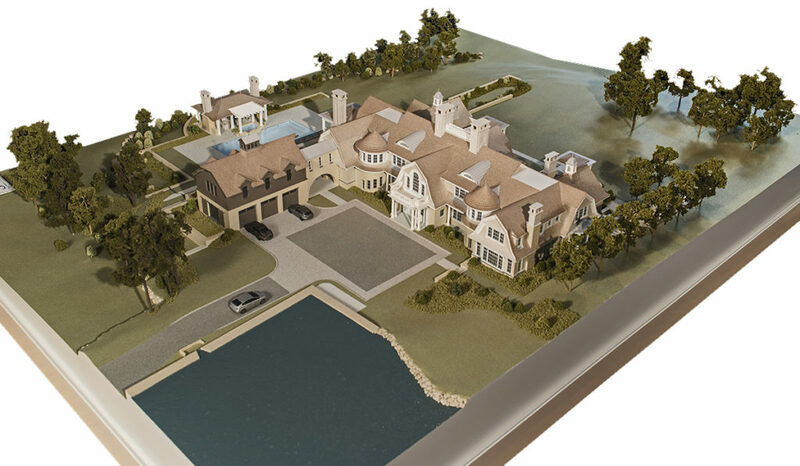 Using a 3D printer or custom model fabrication shop, we produce the ultimate insurance policy for your design project: your dream home, on a small scale.